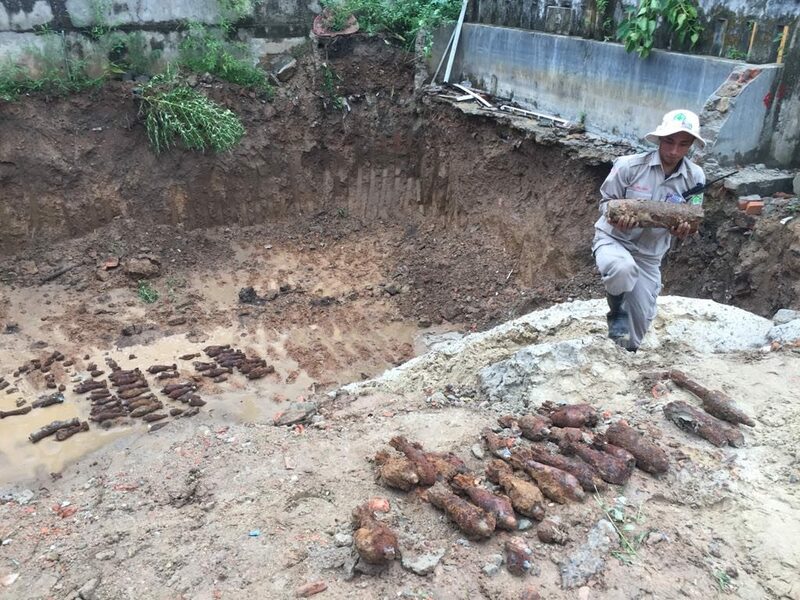 Quang Tri Town, Quang Tri Province (15 June 2018) — Local workers who were building a guest house in the Old Citadel unexpectedly uncovered a cache of dangerous wartime munitions and some soldiers remains. 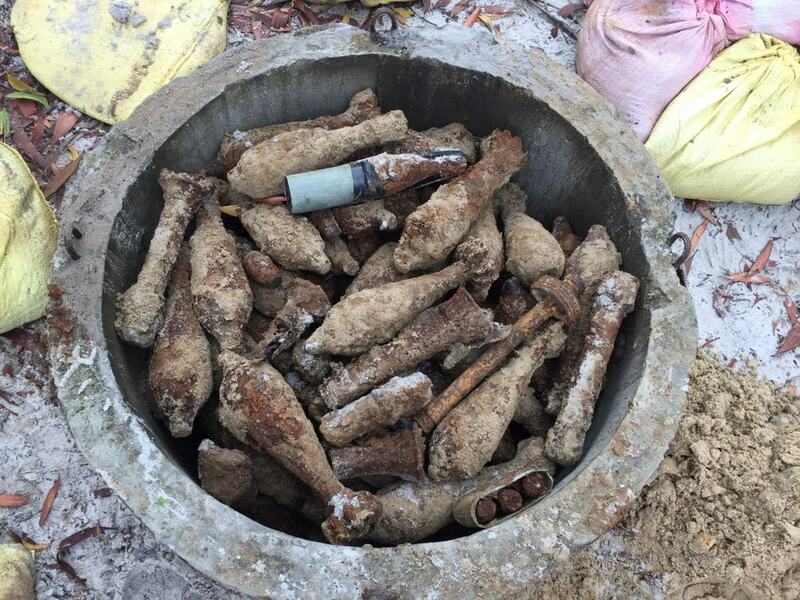 The site manager reported the shocking discovery to the military who called NPA-RENEW to help deal with unexploded ordnance. On Friday, 15 June 2018, NPA-RENEW dispatched the EOD Team No. 1 to the construction site. The team found over 4oo items of unexploded ordnance such as projectiles, rockets, mortars and grenades and about 1,000 small arms munitions. All of the unexploded ordnance has been removed from the site and transported to NPA-RENEW’s demolition site for safe disposal. A temporary holding bin of UXO at Project RENEW’s Central Demolition Site. Meanwhile, the military unit uncovered seven remains of the PAVN soldiers who had died in the Easter Offensive in 1972. These human remains were handed over to the authority for commemoration and burial at the Quang Tri Town cemetery. About Norwegian People’s Aid (NPA): NPA is one of the leading organizations worldwide in Humanitarian Disarmament, including mine action, arms management and destruction, and humanitarian disarmament initiatives. NPA has worked in Vietnam since 2008 following the signing of an MOU with the government of Quang Tri Peoples Committee to support the development of Project RENEW’s Explosive Ordnance Disposal (EOD) capacity. NPA’s operational footprint now covers all of Quang Tri and Thua Thien Hue Provinces, with an increase of assets to two Battle Area Clearance teams, one Non-Technical Survey team, four EOD teams, and 21 Technical Survey teams. About Project RENEW: Founded in 2001, Project RENEW is a cooperative program between the government of Quang Tri Province and foreign non-governmental organizations dedicated to restoring the environment and neutralizing the effects of the war. Project RENEW carries out UXO Survey and Clearance, Victim Assistance and Risk Education with funding from the U.S. Department of State, Irish Aid and other foundations and individuals.